Alpacas have become very popular in the United States in recent years, both as a farming animal and a pet. In addition, it is no wonder. Alpacas, which originated in the Andes Mountains, are easy to care for, too cute for words (especially when they are in full fleece), and friendly and gentle. Their fleece is highly marketable, and they enjoy the company of humans. This is all good news for parents as alpacas can be a tremendous learning experience for children. They learn about caring for an exotic animal, with simple needs, and they get closer to nature, which is really good for the whole family. 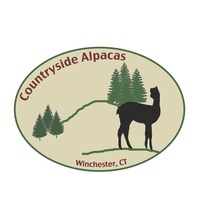 Apart from the occasional toe-nail clipping and, of course, shearing them once a year, alpacas are relatively easy animals to care for, and children seem to relish doing their alpaca chores. Alpacas eat grass and hay, minerals and grains, and children can learn a lot about their habits from feeding them, cleaning their poop, and making sure there is plenty of good water for them to drink. Alpacas live in herds and are extremely social and often quite curious about children, so close bonds can be formed between animal and human. Being so gentle and friendly, children enjoy hanging out with them, watching them interact with each other, and learning other things about animal husbandry. During breeding season, when baby alpacas (also known as “cria”) are born, children get to see firsthand the miracle of birth, and with what care the mother alpaca treats her young. And then, of course, the child gets the opportunity to watch a baby alpaca grow up.